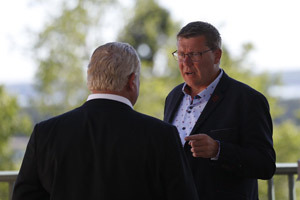 July 23, 2013 – Premiers will meet in Niagara-on-the-Lake from July 24-26 for the Council of the Federation (COF) summer meeting. The meeting will take place at the Queen’s Landing Hotel. 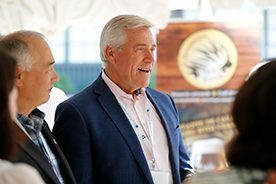 On July 25, Premiers will focus on the economy and will discuss jobs, skills and training, strategic infrastructure and fiscal arrangements. 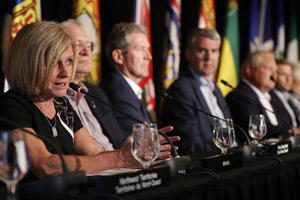 Premiers will also discuss progress on the Canadian Energy Strategy. 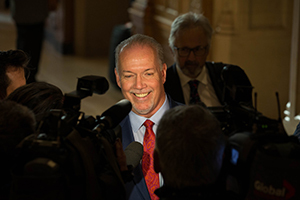 On July 26, Premiers will discuss community and social foundations, including affordable and social housing, bullying and cyber-bullying. 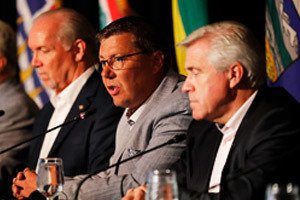 Premiers will also discuss progress on health care innovation. A closing news conference is planned for the afternoon of July 26.